Sometimes that empathy needs nurturing. Typically, kids need reminders that there’s more to pets than playtime. Shelly Macer of Seattle says her family’s menagerie has taught her daughter Jade, 11, many lessons in responsibility, but those lessons came slowly. By gradually introducing fish, then a hamster to the family’s animal collection, Jade learned to care for smaller, less demanding pets before adding a dog and cat to the mix. By the time she was 7, Jade took on feeding chores, starting with dry food, and then working up to the dreaded stinky wet stuff. “She held her nose and did it,” Macer says, “but she still complained.” It turned out the real problem was Jade’s fear of the dark lower level where the cat was fed. After learning of this, Macer reassured her by standing at the top of the stairs while Jade raced down to feed the cat. With responsibilities come privileges. As kids gain independence, opportunities for pet care can be framed as rewards. At 10, Jade was allowed to walk the family’s dog Lulu around the block by herself. At 11, she was ready to walk the dog to the library. “The first time, I met up with her and made sure she knew how to tie Lulu up. After that, she was on her own,” Macer says. His eldest daughter, Kristin, walks the dog, while his middle daughter, Lucy, cleans up the poop. Anna, the 4-year-old, feeds Riley, the golden doodle. All three girls are learning — with the help of a professional trainer — to train Riley. Every family member needs to be on board for the realities of a new pet, whether it’s a goldfish, a kitten or a wriggly new puppy, says Bishop. That means learning all you can about pet care — the good, the bad and the soiled carpet — before the pet arrives, not just after. Without a clear idea of how to tackle problem pet behavior, adjusting to a new furry sidekick can be brutal. Folger’s family faced this when Riley started nipping and barking. Eventually the family brought in a professional to help. Chandra Wu, a Vancouver, B.C., mother of two girls, agrees. Wu and her husband decided they’d be responsible for feeding and caring for their new Lab puppy until their daughters were older. That turned out to be the right decision — he was a handful. Cedar Burnett is a freelance writer and the mother of a fiercely independent 3-year-old. More at cedarburnett.com. Prepare your children before the animal enters your home. Knowing the realities of your pet ― that puppies bite, hamsters make noise at night, cats need alone time — can help your child to avoid taking natural behaviors personally. 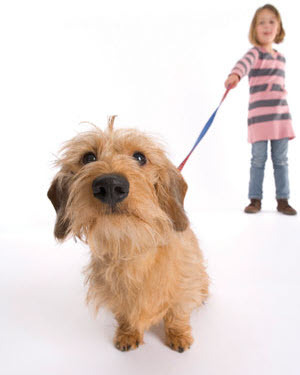 Have your 7- to 11-year-old sign a contract listing simple rules about caring for their pet. Writing it down can impart a level of seriousness and help your child understand your expectations. Bring your whole family to a training class before you get a dog. Many area trainers offer classes for children ages 6 and older and encourage having the family in attendance. If everyone receives the same training, it’s easier to stay on the same page. When choosing a trainer, look for instructors who have had children themselves or extensive training experience with children. 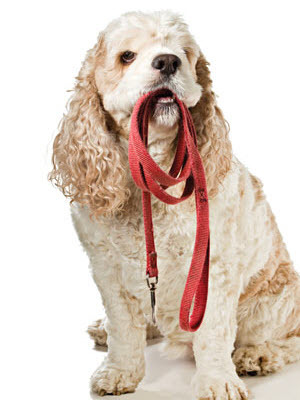 It will help the process to have a trainer with as much empathy and patience for children as they have for dogs.